Ratner Safe's were formed in London in 1784. To show the quality of Ratner safes there are still many in service today. 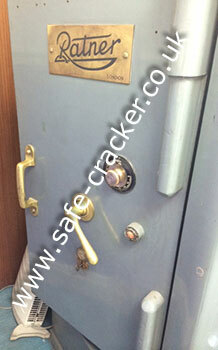 Safecracker can open all Ratner safes, Vaults and Book Room Doors. When a member of staff at a university in Greenwich unexpectadly resigned nobody could find the keys to open this Milners Book Room Door. They telephoned safecracker who not only provided the cheapest quote, I also confirmed that I would pick the door lock open and not drill it. True to my word, I attended and picked the lock open with no damage to the door what so ever. If you need a Ratner Book Room door opened, just call safecracker. 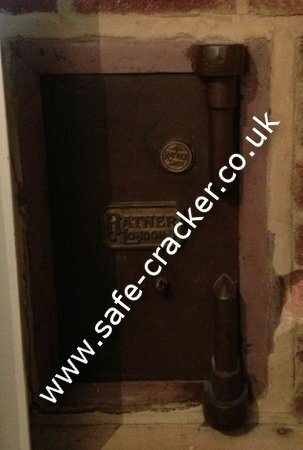 When the owners of this Ratner Fire safe lost the keys they contacted safecracker to get an opening price. When safecracker found out that the safe was in a Church being ran as registered charity safecracker knew that nobody would be able to beat his price, because the safecracker opening price was free! Safecracker attended the next day and opened this Ratner safe for them. If you need a Ratner safe opening, call safecracker the specialist safe opening service. The owners of this Ratner twin door safe lost the combination to its original fitted combination lock and were now unable to open it. They called safecracker. We attended and opened this Ratner combination safe. If you have a Ratner safe that needs opening call safecracker. 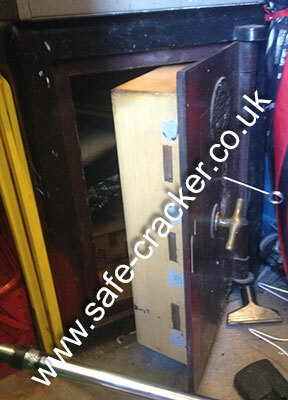 When owner of this Ratner safe, a jeweller based in hatton Garden started to have trouble opening its combination lock, he didn't wait for the problem to get worse and develop in to a full lock out, he immediatley telephoned Safecracker. The next day Safecracker attended and were quickley able to diagnose and rectify the fault at a fraction of the cost of a full opening. 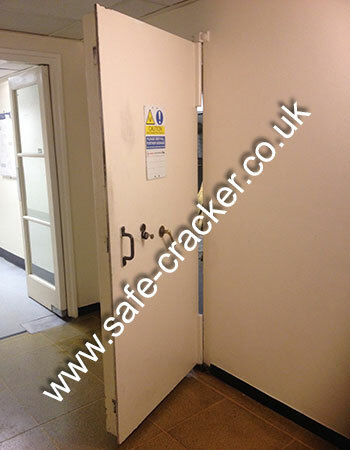 If your safe starts to have problems opening, do not wait, call safecracker straight away. Do not allow it to develop in to a costly full lockout opening. When the new owners moved in to a house 15 years ago they were told by the previous owners that the Ratner safe in the premises was locked and that they had never had the keys for it. 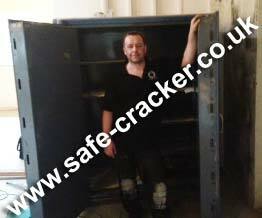 Recently the owners needed a working safe so after testing the door and not being able to open it they called Safecracker asking us to attend, open the safe and put it back in to full service. Safecracker attended. We turned the spindle and pulled the door which promtly swung open! For the last 15 plus years the safe had been sitting unlocked with the door pushed closed. We then put the safe back in to full service. If you need a safe opening, first check that it is not already unlocked but then call safecracker.